Below are all of the back issues of The Household Manager Newsletter, which you can subscribe to for free from this site. I promise to use it only to send you The Household Manager. 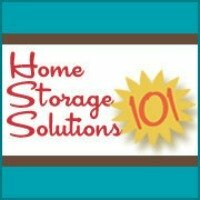 The Household Manager, Issue #007 -- Summer's Here - Is Your Home Ready? The Household Manager, Issue #003 -- Spring Cleaning Time Is Here! The Household Manager, Issue #001 -- Laundry and Groceries and Notebooks, Oh My! Go back to The Household Manager Newsletter page or simply subscribe for free below!